Internet usage is only increasing as well as the gap between the number of unfilled analytics position and the number of data literate individuals out there. Qualified analysts aren’t easy to come by so I encourage anyone curious enough about the digital analytics field to learn more about it and maybe even pursue it if it’s something that sparks your interests. 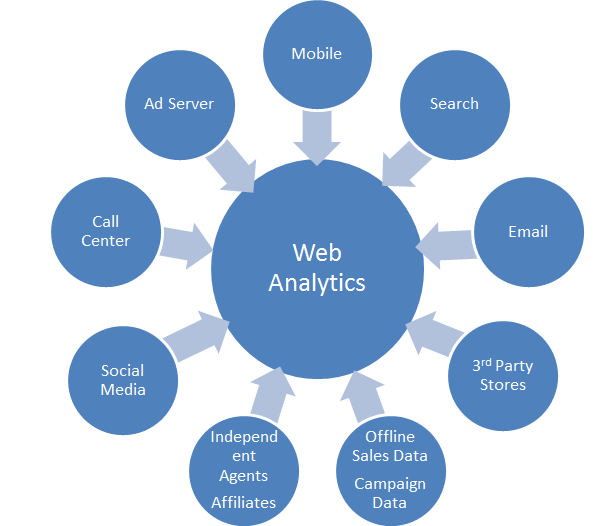 “Web Analytics” companies like WebTrends, Omniture (now Adobe), Google Analytics etc. also started including data from other online channels and transformed from Web Analytics tools to Digital Analytics tools. Another thing that I may add is that more and more things are being connected to the internet (IoT) which provides organizations with an even greater need for digital data analysis if they want to understand how things are being used and how consumers are behaving. There’s an estimation that only 3% out of the 100% of Internet-generated data (big data) can be considered valuable for businesses. However, only .05% of that 3% of data is being analyzed in hopes of generating guided insights for the business. That leaves about 99.95% of useful digital data not being utilized to find new opportunities or to add additional value to the business. Digital analytic has a great future scope as a career option. As digital marketing is the booming industry today, so qualified professionals are much needed in the market today. Along with Search engine optimization, digital analytic plays an important role, as it is very important to understand if your work is going in the right direction or not. Apart from companies, there are institutes as well where the look can look for a job option. I predict that this field is only likely to grow and it won’t just end at web/digital analytics. Previous Previous post: How is the digital marketing industry in India in the present and future?